Light Rail Manila Corporation (LRMC) continues their commitment to "Biyaheng better everyday" to the every day passengers by introducing HACKATREN. 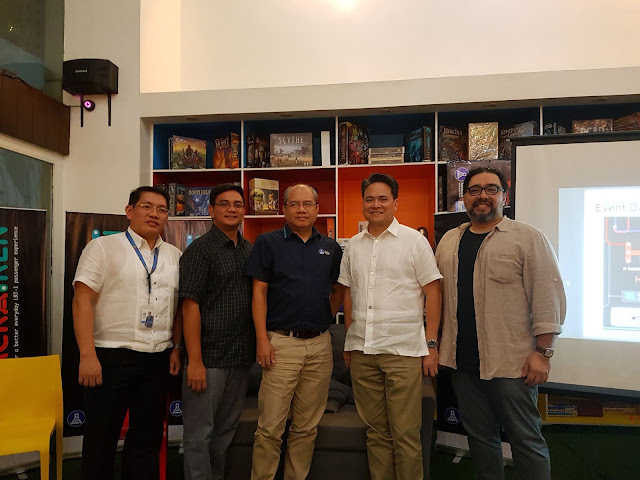 Partnering with De La Salle-College of Saint Benilde Hub for innovation for inclusion(DLS-CSB HIFI), LRMC launched Hackatren, which aims to crowd source for IT application that will further improve the customer experience of LRT-1 riders. "LRMC believes in Filipino Talent," LRMC President and CEO Juan Alfonso said. "With Hackatren we will showcase the IT programming skills of Filipinos. It will also be a platform for them to contribute to the uplift of customer experience at LRT-1." Hackatren is open to all Filipinos 18 years old and above, with the knack for programming, designing and coding. Interested participants must form a group of 3 to 4 members with one member as the designer or architech and the rest of the members are coders. Registration has been opened last June 11 and will be open until June 30 2018. Shortlisted teams will be invited to the Hackatren pre-hack day on June 30 2018. IT experts and mentors from LRMC will conduct an orientation to the participants in preration for the main Hackatren event. Team that will qualify will move on to the Hackatren event on July 14-15, 2018. Interested with Hackatren? Please visit the official accounts of LRMC @officialLRT1 on twitter, Facebook and Instagram.